There's a new top dog in Paramotors! The all new BlackHawk Rocket 313. This High Output motor just won the 2011 Salton Sea Fly In Thrust War. It took on all comers including the Parajet Rotron 2nd place (210 lbs of thrust) and the Flat Top Super which took fourth place behind the mid sized engine category winner the BlackHawk Talon 175. After 14 months of work with our sole intention of producing enough thrust to power the largest pilots, or those in need of flying at high altitudes we are pleased to announce the production of this beautiful motor. With the huge popularity of the LowBoy II quad as well as Trikes there was previously a large void in the horsepower department relative to a lightweight Powered Paraglider. The lack of power is no longer the issue! This motor will power the largest pilots safely and provide the high altitude pilots with a much safer rate of climb. For those of us not flying at high elevations this motor will purr at a quieter and lower RPM thus saving on gas and engine wear! Talk about a rate of climb! One can only imagine! This motor is proudly made in North America by Compact Radial Engines with the exhaust and cylinder head manufactured by BlackHawk Paramotors USA. Like all our engines this engine is CNC'd from billet aluminum to exact standards. If you are interested in this durable industry leading powerhouse please contact ParaToys/BlackHawk today! BlackHawk Rocket 313 comes standard with the BlackHawk Rhino XLT cage. 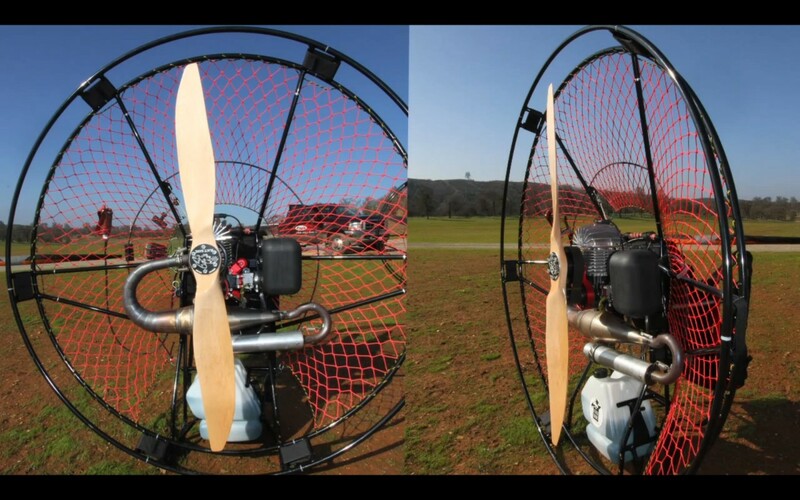 Click the button below to add the BlackHawk Rocket 313 Paramotor to your wish list.